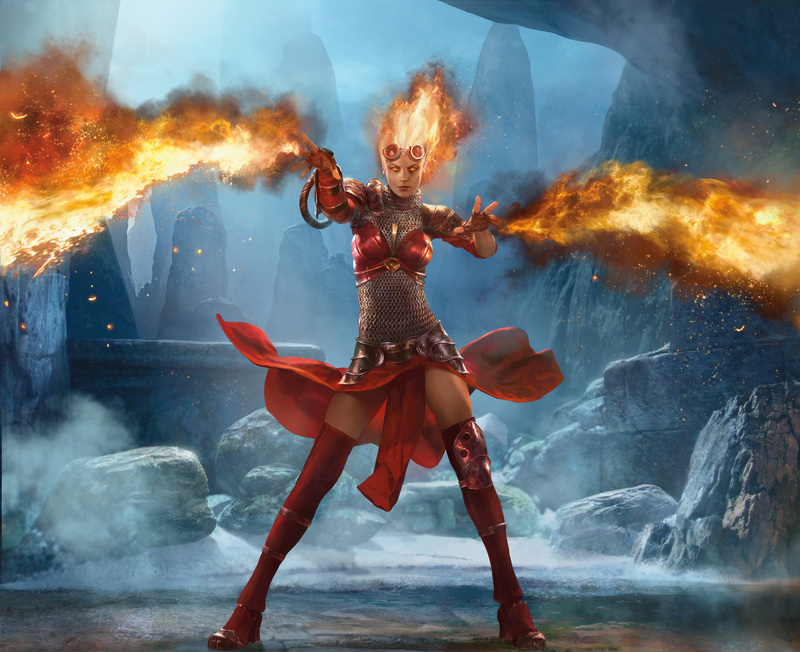 I got the pleasure of reviewing Magic 2014: Duels Of The Planeswalker, from Wizards of The Coast. One of the first thing that is noticeably different is that this game has some beautiful cut scenes involving the Planeswalker Chandra, which the main story of the game revolves around. The progression of the story is slightly different to the last game in that you face four encounters which involve a set strategy that you must deal with before facing the “boss” of the level in a normal Magic The Gathering game. In my personal opinion I would have liked more standard Magic battles rather than the encounters. Once you finish a level you do get to face another Planeswalker to unlock their deck in a standard Magic battle. As for the decks they have some interesting ideas. My personal favourite colour to play as is White and I did quite enjoy the white enchantment deck and the white soldier deck. You could get some nice powerful creatures with the enchantment deck or just a large quick army with the soldier deck. This game also saw the introduction of Slivers. Slivers are a creature in the Magic universe which empower each other Sliver under your control on the battlefield. I felt the Sliver deck was a little bit too slow to get going but when you did get it going it was very powerful. It just needed to be that bit quicker. The other new addition to this game was the introduction of the Sealed Play campaign. If you have ever been to a Magic The Gathering Pre Release event you will know what this is about but for those who don’t know, you get a small collection of booster packs that you create a deck with. This of course entirely depends how lucky you are with your booster packs to how good your deck becomes. I wasn’t very lucky. I created a Blue and Black deck using the auto create feature which just scraped through the first battle. When I created the deck, the strength meter at the top declared the deck as “Awesome” but after I won the first battle to get a new booster pack, I added a few good cards and adjusted the land accordingly and the strength of the deck plummeted to “Average”. In conclusion, I like the decks in this game and the story is displayed much better but there should have been more standard games and the sealed campaign is a nice idea but I think it still needs a little bit more work on it. This entry was posted in 2, Developer, game, games, Review, train, train 2 game, Train2Game and tagged 2, Chandra, Decks, Duels of The Planeswalkers, game, games industry, Magic 2014, Magic the gathering, Review, Sliver, train, Train2Game, Video Games by Train2Game Blogger Team. Bookmark the permalink.